(BOP) Blowout Preventer is often used in onshore and offshore oilfield for oil and gas drilling, completion, well testing, wireline application, workover, etc. 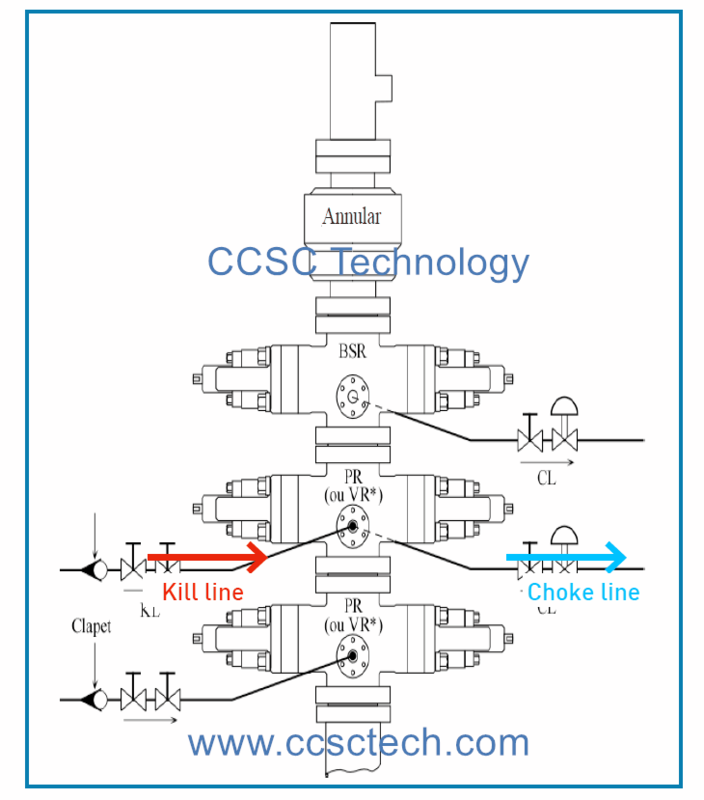 It is like a specialized valve or similar mechanical device, used to seal, control and monitor oil and gas wells to prevent blowout, the uncontrolled release of crude oil or natural gas from a well. A ram bop and an annular bop are usually installed in stacks. BOP Blowout Preventer is usually designed and manufactured in accordance with API SPEC.16A standard. They are specifically made to seal, control and monitor oil well and gas well. 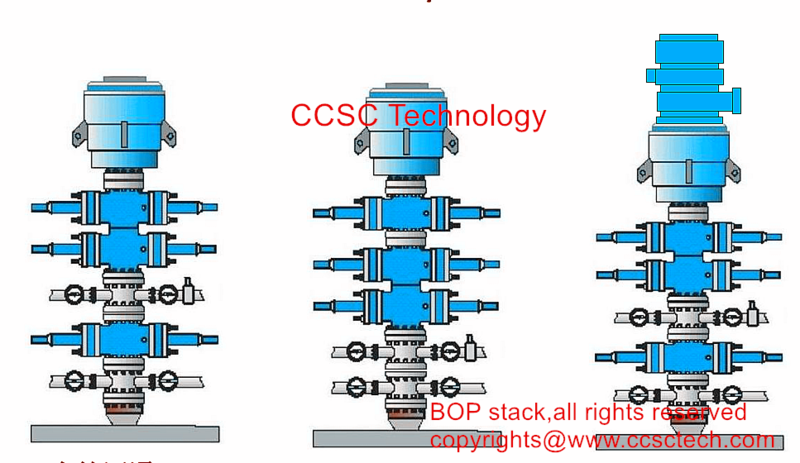 BOP Blowout Preventer provided by CCSC Technology has many kinds of application with many different sizes and pressure ratings used for oilfield drilling and other service applications. Such as single ram bop, double ram bop, triple ram bop, quadplex Ram bop, annular bop, sucker rod bop, polish rod bop, wireline bop etc. 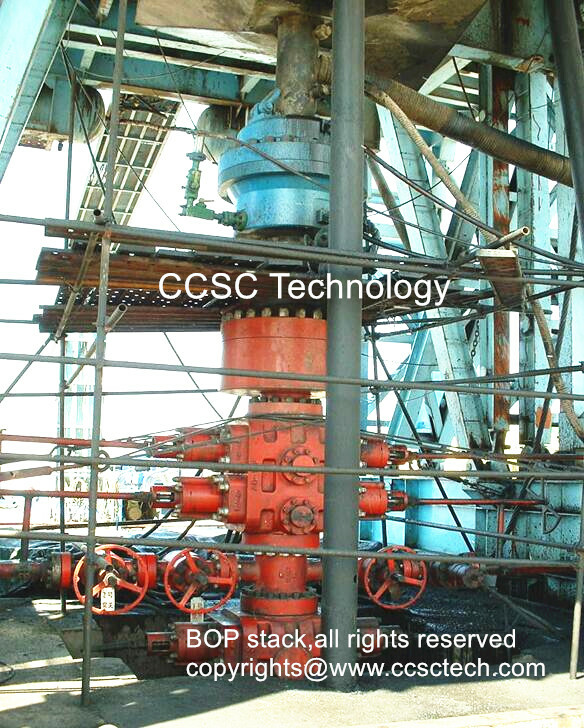 BOP Blowout Preventer provided by CCSC Technology are mainly hydraulic operation or manual operation. 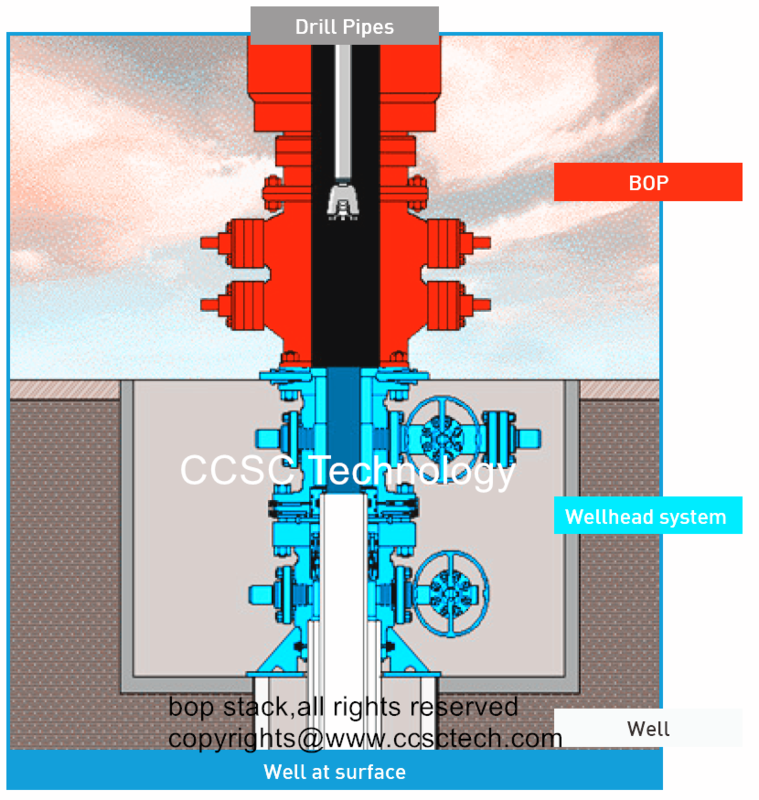 BOP Blowout Preventer provided by CCSC Technology can meet all kinds of working conditions and performance requirements and can be used to replace Shaffer ram BOP, Cameron ram BOP or Hydril ram BOP.